And the electronics titan saw rising competition last year in the high-end smartphone space from Apple and Chinese vendor Huawei. 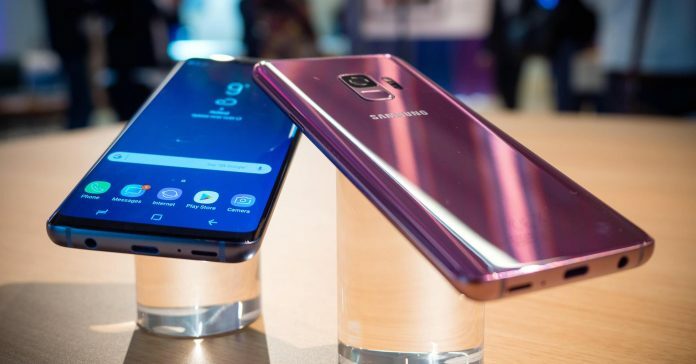 To counter this, Samsung revealed a new trade-in program in partnership with mobile networks, where users can get money for their old devices. The hope is that it will make buying an expensive phone more palatable and encourage people to upgrade, which will be key for growth in an increasingly saturated smartphone market. “At the end of the day, if Samsung really wants to keep a user base properly, they need to give the tools for current users to trade in devices to make sure they feel like they aren’t losing money,” Francisco Jeronimo, research director for European mobile devices at IDC, told CNBC by phone ahead of the launch event. Samsung also showed an improved version of Bixby, its smart digital assistant. In one demonstration, Samsung showed how Bixby could live translate a piece of text. The South Korean electronic giant also unveiled a new version of Dex, which allows a user to connect their smartphone to a bigger screen, to turn it into a full PC experience.